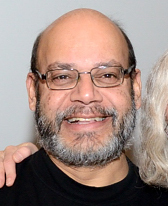 Noel Alfonso is an ichthyologist with the Canadian Museum of Nature and has been with the Museum for twenty-six years. He’s had a lifelong fascination with fishes and the natural world. His work deals with fishes; identifying species, concentrating on Canadian fishes. He is part of the museum’s expertise in Arctic fishes; contributing to a field guide to Arctic Marine Fishes of Canada, doing the mapping and writing a chapter on Arctic flatfishes. He is a GIS specialist for the Museum. He purses environmental concerns; helping the museum be greener by initiating and advising on projects and activities.